Bolt-On Model with No wood or gluing whatsoever, for unmatched durability as compared with a typical balsa airplane model. Wing: Ripstop Nylon Fabric. Yellow, Blue, Red, Orange, Green, Black, White. Pilot Figure Kit: MIA Pilot Figure with animatronics, servo operated head. The MIA Drifter Style RC Ultralight, while sophisticated in design, is an high performance, easy to fly and highly durable RC Ultralight model airplane, operated by conventional 3 Axis control, Rudder, Elevator, Throttle, and optional Aileron and Tail Wheel Steering. This tanden seat RC Ultralight model was inspired by the real aircraft, but re-engineered "from the bottom up" for RC. This is not a blow by blow replica to sit static in a museum, but instead a radio control model designed with MIA's own and unique methods, techniques and select hardware for RC model manufacturing, assembly, flyability, durability and longevity. This design uses electric-power and is based on modern-day “Strut-Braced” full scale ultralight architecture, for simplicity and efficiency. It is assembled, set up and flown, very much like a full scale ultralight, but in smaller scale, via radio control, simpler and also much quicker. 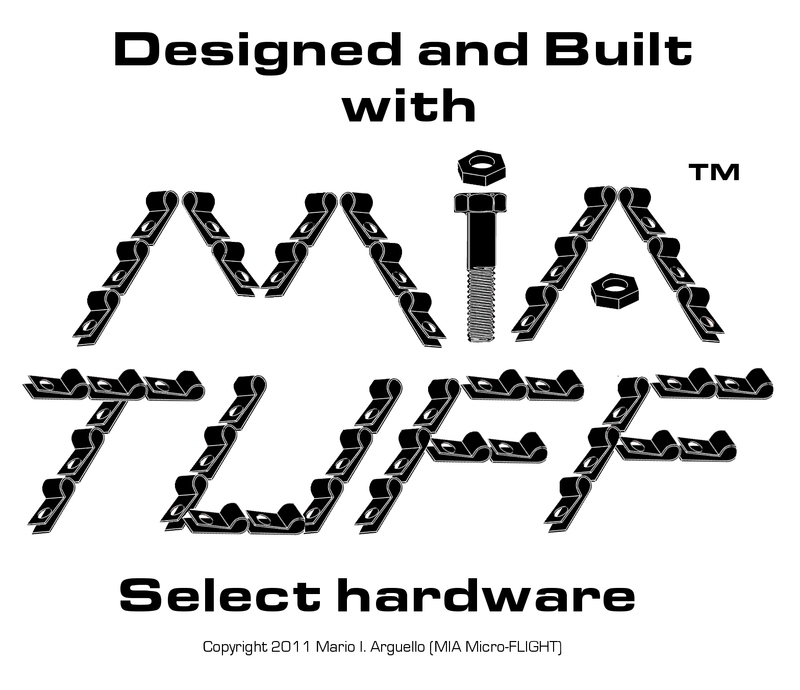 The Kit comes with MIA's typical "Kit Contents Checklist", which ensures that the kit has been shipped complete. This kit comes with factory Pre-Assembled Vertical and Horizontal Stabilizers to make assembly by user quicker. As typical of MIA Kit Products, this kit comes as a "Bolt-On Kit" and requires assembly with a small Phillips screwdriver. Build time depends on user skill, but should take you no more than a couple of evenings, if you are familiar with RC models and follow the Videos and Step by Step Instructions, provided with the kits. The assembly follows this sequence: Frame, LG, Seats, Tail Boom, Stabilizers, Wing, Electronics, Front Canopy, Windshield, Setup. This is an awesome! 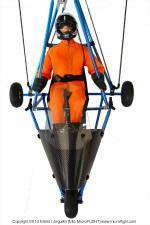 60″ size model, suitable for flying outdoor, preferably in calm-weather. While the model can also be flown in indoor hangers or arenas, it will perform much better in an open un-obstructed area, where you can explore the control with ample room to correct any mistake. Its exceptional performance is due to its light-weight design, construction and little power required to get going. The model will easily loop by re-locating the center of mass with respect to the wing center of pressure. It will perform tight turns and recover from stalls and pull-out from hard dives, with ease and precision, even at low altitude, provided the model is set up properly and according to the supplied instructions. We have put together, an matched "High Efficiency Power and Control Electronics Package", we highly recommend you purchase with this model. It includes all the components required to power and control the model, so that it performs just as in all our videos. An optional matching in-scale pilot figure with animatronics head operated via an included servo provides the model with added realism. The pilot figure comes with a color flight suit to match the wing trim color. The pilot head is activated via a spare channel on the customer-supplied RX, can be Y-connected to the Rudder channel or mixed with the aileron, via a programmable transmitter, so to provide a left-right movement of the head for realism. In order to fly this model, a programmable 4-6 channel transmitter with matching receiver and a 3S 2200-3000 mAh Li-Pol battery and charger is required. This is typically supplied by the user.